Each year, New York University hosts an acclaimed artist to hold residency with its Asian/Pacific/American Institute. Artists-in-Residence are invited to bring their notoriety, artistic work, and history of involvement with the Asian/Pacific American community to NYU. The Artist-in-Residence uses his/her time at A/P/A to create important new work, artistic retrospectives, forums, or conferences. Scholars, fellow artists, and community members familiar or new to the artist’s work, gain a unique opportunity to engage with the Artist-in-Residence within a university setting. 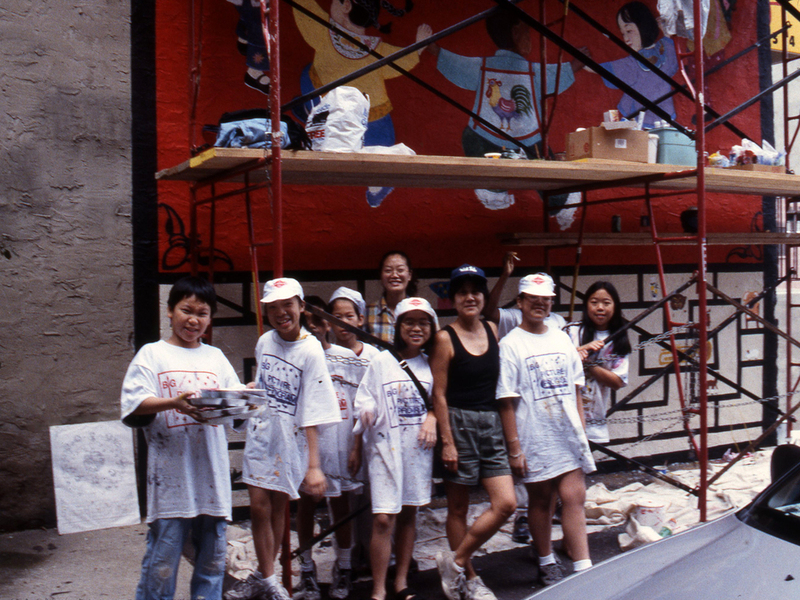 During Tomie’s residency in 1998, she completed two installations for the program’s gallery; Momotaro/Peach Boy and Resident Aliens: a collaboration with Siddhartha Joag, who was then an undergraduate student at NYU. Tomie was the A/P/A Institute’s first Artist in Residence and she has been invited back to be a Visiting Scholar for the academic year 2013. In the four storefront “Windows of 97”, the LES Tenement Museum, in collaboration with local artists, presents changing site-specific art installations that address issues of contemporary immigration. These installations tell the stories of the recent immigrants living in New York City, explore the connections between immigrant experiences past and present, and seek to inspire dialogue about social issues of concern to recent immigrant communities. Artist Tomie Arai believes the immigrant’s journey to America is an experience layered with multiple perspectives and strategies for survival rather than a single trajectory that leads to American citizenship. In 1998, Arai joined ESOL students from the Museum’s Shared Journeys Program to create a collaborative window installation about the experiences of newly arrived immigrants and their impact on the life of the city. Notions of dislocation and loss are contrasted with creative strategies for survival and alternative networks of support. Re:mixed: Voices from New York's Immigrant Communities explores how immigrants can reinvent new identities and redefine what it means to be American. The window installation is located at the juncture between private and public space, inside and outside, foreign and familiar. It presents shifting perspectives that will challenge the notion of having only one point of view, one destination, and one community. The Women's Studio Workshop is a visual arts organization that provides residencies and internships to women artists at all stages of their careers. Founded in 1974 by four women artists, Ann Kalmbach, Tatana Kellner, Anita Wetzel, and Barbara Leoff Burge, the WSW has been committed to developing an alternative space for artists to create new work and share skills. A book arts residency at the Women's Studio Workshop in 2003 enabled Arai to create Momotaro/Peach Boy, a portfolio of prints based on a popular Japanese folk tale. This edition of 9 solar plate prints was placed in the collections of the New York Public Library, the Vassar College Library and was purchased by Williams College for their permanent collection. A community arts residency sponsored by the Mid Atlantic Arts Foundation and the National Endowment for the Arts; hosted by Self Help Graphics & Art, Los Angeles, CA. During her 3-month residency in 2000, Arai explored the differences and similarities between her perspective as an Asian woman and those of the host organization, Self Help Graphics’ largely Chicano constituency. From a starting place of being ‘other’ in America, Arsi and a core group of eight local artists investigated the themes of identity and culture, geography and place, memory and time. The result of this collaboration was the exhibition LAtitudes, which opening in the SHG Galeria Otra Vez in May 2000. 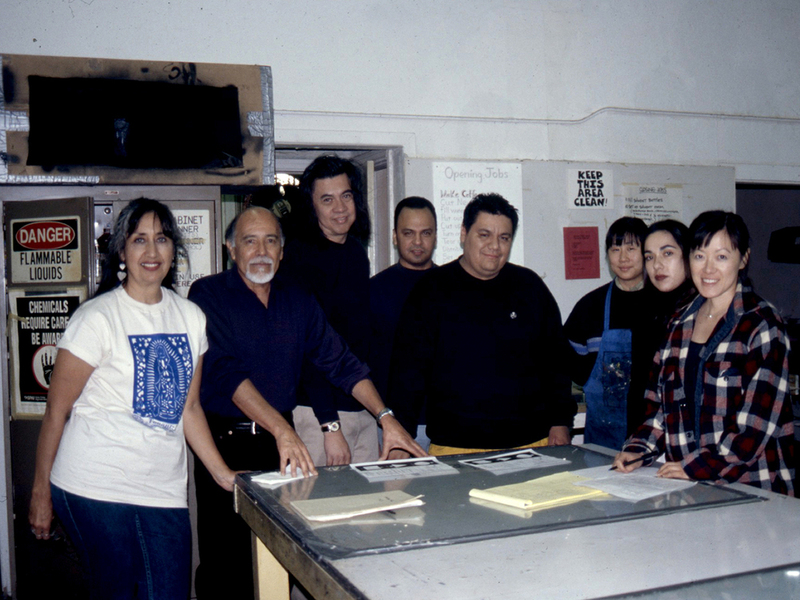 Tomie and artists Alex Donis, Ofelia Esparza, Pat Gomez, Rebeca Guerrero, Sojin Kim, John Montelongo, Peter Rangel and Shizu Saldamando worked with master printer Jose Alpuche, screen-printing on non-traditional materials using a variety of experimental techniques. A solo exhibition of Arai’s prints and new work created during the residency also filled the front gallery. Arai’s residency included the production of two limited edition silkscreened prints, digital workshops for East EA teens, printmaking classes at a local elementary school, an Open Studio session and a series of artist talks for students of the University of California at Irvine and the staff of the Japanese American National Museum. Her residency also initiated a dialogue between Self Help Graphics and the Japanese American Community Center about collaborative programming showcasing the work of Asian American and Chicano artists. Several of the artist’s prints were subsequently purchased by the Peter Norton Family Foundation and given as gifts to the newly established permanent collection of the contemporary art at the Japanese American National Museum. In 1997, Tomie Arai spent two weeks in Arizona as a guest of the Arizona Humanities Council, travelling to the Gila River Indian Reservation and the town of Parker, the sites of two Japanese American Relocation Centers built on Indian reservations during World War II. The purpose of this visit was to conduct research for a series of silkscreened prints which would document the shared experiences of Japanese Americans and Native Americans during the war. 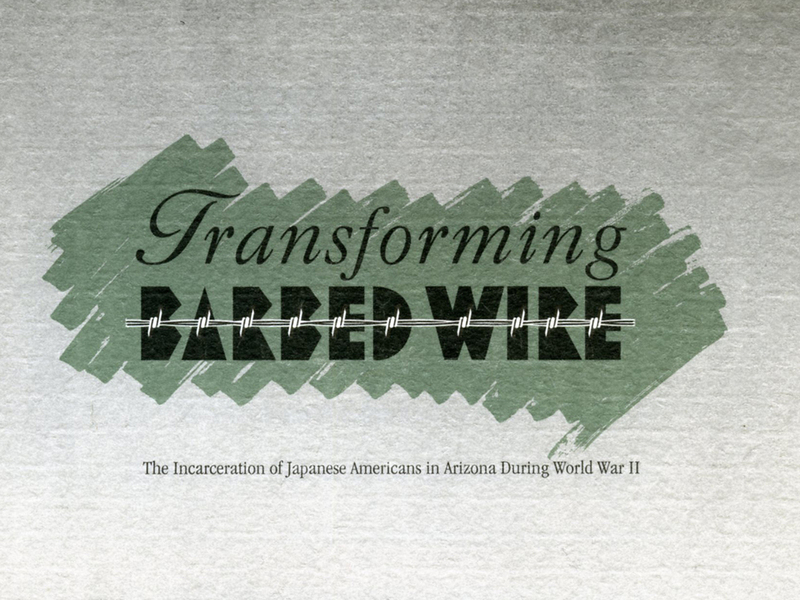 These prints would be given as gifts from the Japanese American Citizens League to the Gila River Indian Tribe and the Colorado River Indian Tribe, at the opening ceremony of a conference entitled Transforming Barbed Wire. Meetings with community residents, tribal elders and students from Gila River and Poston were especially meaningful, as all these encounters gave the wartime experience a dimension that enabled Arai to visualize history in a completely personal way. Conversations with Rick Noguchi, Mas Inoshita and the members of the Arizona JACL, the tribal elders from the Gila River Indian Tribe, the ‘Parker Poet’ Janet Winans, the students from the Gila River Sacton Middle School and their teacher Jennifer Allison and Ms.Hanaga Fisher--Miss Colorado River Indian Tribe 1997-- are featured in a silkscreened diptych which was entitled Return. These shared memories helped Arai understand the potential of art to frame events from the past with new meaning. Through collaborative projects like these, the process of artmaking helped to keep the events of World War II vivid in our collective memory, while adding different perspectives to a common narrative. "Return" is now hanging in the tribal offices of the Colorado River Indians and the Gila River Indian Tribes.